Submissions are now closed for Shooter’s first issue and we’re poring over the 257 poems, short stories and nonfiction pieces received from around the globe. The bulk has come from North America, with a decent showing from the UK, but also from as far away as Australia, India, Nigeria, South Africa and China. We’re lapping up tales of heists gone wrong, maiden hunting adventures, first-hand accounts of war, poems homing in on romantic crises and even a literary dilemma faced by Emily Dickinson, the poet who inspired Shooter’s name. 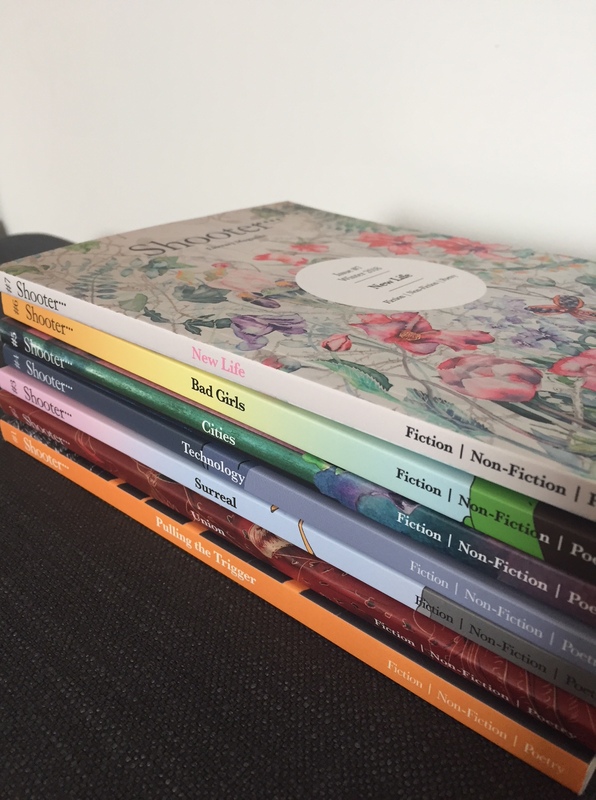 Opening each submission has felt like unwrapping a Christmas present; it’s been a thrill and a privilege to read such an abundance of exciting new work, and it’s going to be a challenge to whittle down the shortlist for Issue 1. We’ll be in touch within the next few weeks to let writers and cover artists know whose work has been accepted. To all who sent in submissions for the first issue, many thanks for your contribution: Shooter will only be as good as its content. There’s a lot of literary talent out there and we’re honoured to contribute a platform for new work.